We are proud to introduce to you the team of three MSc students in 'Aquatic Eco-systems Management' at IUPA (the University Fishing and Aquaculture Institute). 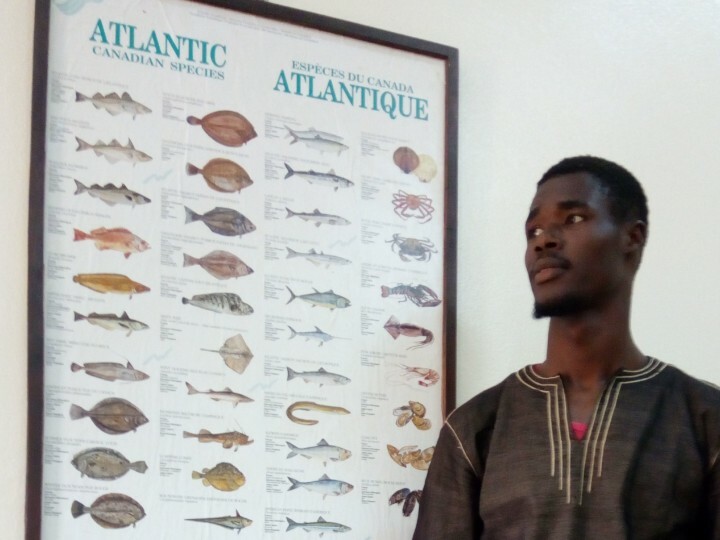 Fatou, Amadou and Babacar have been chosen among 15 fellow students for their strong motivation and skills to be trained in scuba diving and so to become future champions in the protection of marine ecosystems in West Africa. I am 25 years old and I am one of the few women in the master programme. If you consider that I am not a great swimmer, you will understand that I need to be very motivated to do this dive training, which is a frankly speaking a big physical challenge for me ? I found my vocation studying earth and life sciences in the high school, and I wanted to continue on this path. This is why after my bachelor’s degree at the Université Cheikh Anta Diop in Dakar, I enrolled for the Master at the IUPA for two reasons: 1) I had always been passionate about discoveries, in particular in the water, and I also wanted to specialise in environmental protection and more specifically in marine protected areas, and 2) I heard a lot about the very good reputation of this institute. Wow, it was an experience full of discoveries. I look forward to my next diving session. I think this is really motivating for my studies and I can feel that, comparing with the other students; I have the chance to "live" the topic of my studies. This is why I thank you once again for your support! 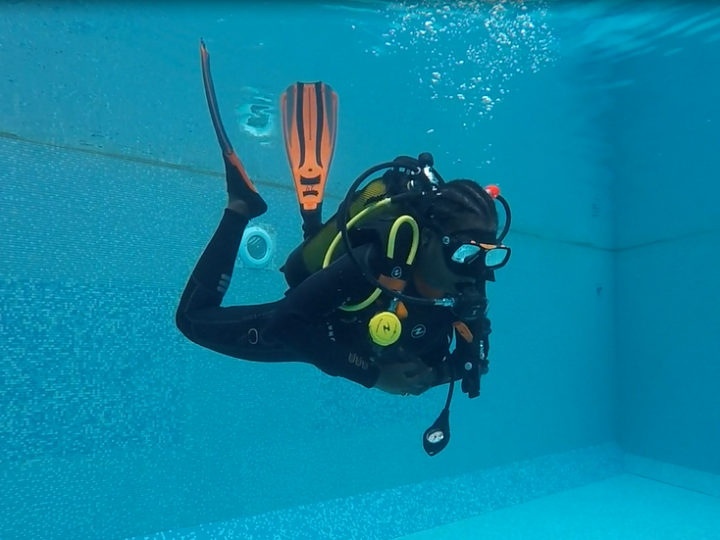 I am young (26 years old), passionate about my studies, and I think I was selected for this project by the jury because I am one of the most motivated to do these dives! 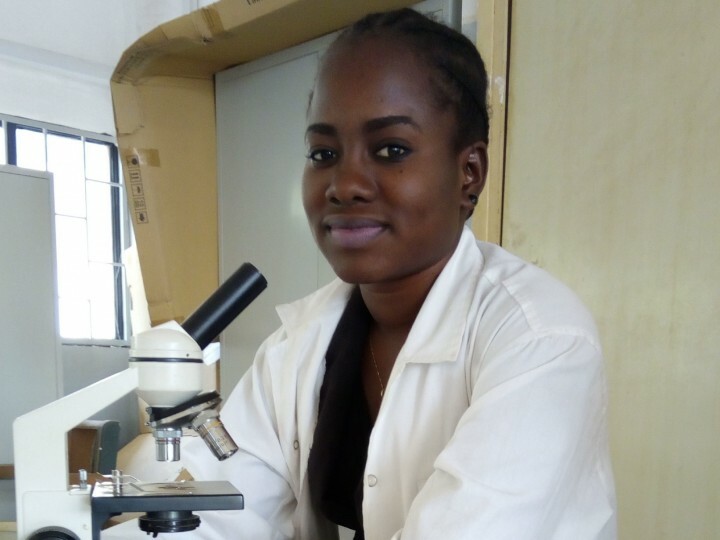 Up to my undergraduate studies, I was fascinated by the courses of nature sciences, and among them ecology: you study all the relations that can exist between the different elements of the environment and you understand the need to have a good understanding about them. When I learnt in our zoology course that the vast majority of the animals of the earth are water organisms, something inside me decided to specialise in ecology of marine ecosystems. I think that later, when I am an expert, I would like to be very useful in this field where there still is a lack of information on the countless species and the situation of our coasts. This is a real challenge for Senegal. The health of our fishing industry depends on the health of our sea, and this is why we must avoid the degradation of our environment. What did you experience under water during your first dive? I had an extraordinary feeling under water. 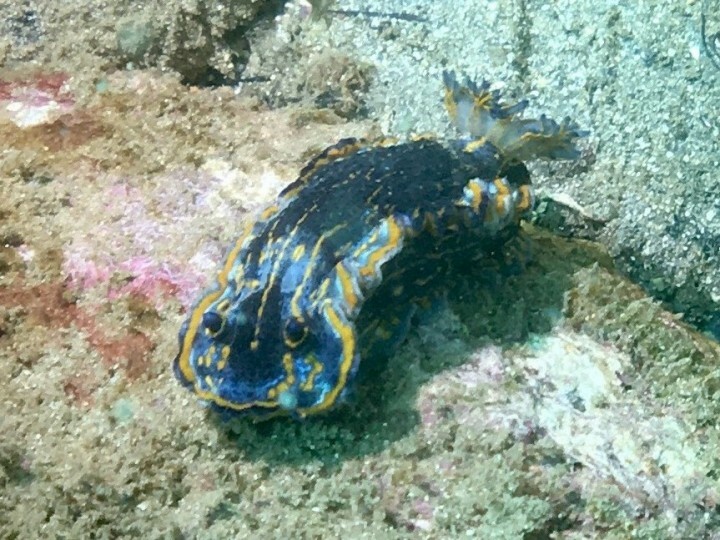 My initial fear was quickly put aside when I encountered the first different species which we only know from our books, such as sea anemones or the pufferfish, which besides was the topic of my study project. I was also impressed by the almost magical ability to breathe underwater! For all this and it is just the beginning, I would like thank you for your support. It is an immense value for us to succeed in our studies. I was born in a village in the department of Podor on February 10, 1992 (25 years). This is where I learnt to swim. Studying and working in marine ecology has always been my dream. I would like to participate in the management of the marine ecosystems. This is why I had chosen the program at the IUPA which allows me to deepen my scientific knowledge. 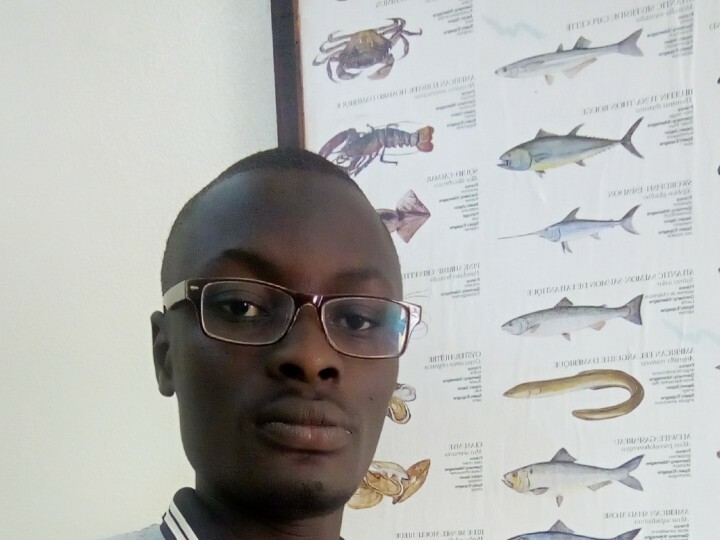 I would like to know more about the impact of pollution on the environment of the sea that, in my opinion, must be well managed given its importance for the Senegalese economy because of the fisheries, but also for our own well-being. As a child of the river of Podor, I want to fight against the degradation of the water ecosystems." And what were your first underwater impressions? When I dive into the sea for the first time, it was extraordinary and fantastic. For the first time in my life, I saw a real school of fish and seaweed and many other beautiful things! Usually I see these things only in videos. I thought: "This is great! I breathe underwater!" It was an experience that I will certainly not forget! Thank you for making this possible !